A flight through the vastness of space.. Dreamy soundtrack for future visions. Mysterious and peaceful soundscape in Interstellar Style. On a star mission with electric guitar and an arpeggiator bass. A spaceship in the exosphere. 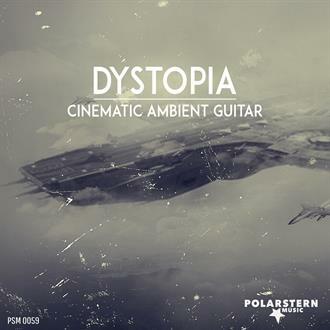 Moments of hope are reflected in this of delay guitars and magical synthesizer-heavy composition. Suitable composition for disaster and end-time moods. For dramas and love, conflict and reconciliation. Post-apocalyptic mood. Dreamy soundtrack with electric guitar and a steadily rising orchestra. Stardust and solar winds in a cold lonely universe. The day after. A sense of loneliness is suggested in this guitar theme. Merging molecules. Cool relaxed and consistently friendly guitar track. In orbit of the earth. In this beautiful guitar composition, the listener is taught closeness and security. Dreamy soundtrack for space and landscapes. A hopeful and inspiring theme for dream and cosmic sequences. The calm after the disaster. Quiet fragile track. Thoughtful and sentimental. Doomsday mood once completely different. Delay guitars and synth sequences. After a global disaster. Sad and nostalgic cue with keyboard surfaces and reverberating guitar. Approaching a uninhabited planet. Friendly, meditative and positive guitar theme. Flight over destroyed areas. Dreamy soundtrack with slide guitar and synthesizer sounds. Visions of an end-time mood. Modern spherical keyboards and reverberant guitar sounds. A flight over unique landscapes. Slide guitar meets spherical synths.